While Verizon hasn’t officially unveiled any WP7 handsets yet, I’d consider this iron-clad proof that they’re about to put something out. They’ve uploaded two support pages specific to Windows Phone 7: Troubleshooting problems during software update for Windows Phone 7 and Marketplace tile does not refresh to reflect installation of app updates on …. Both pretty much just tell you to see Microsoft’s support page, but these wouldn’t exist if a phone from Big Red wasn’t about to arrive. 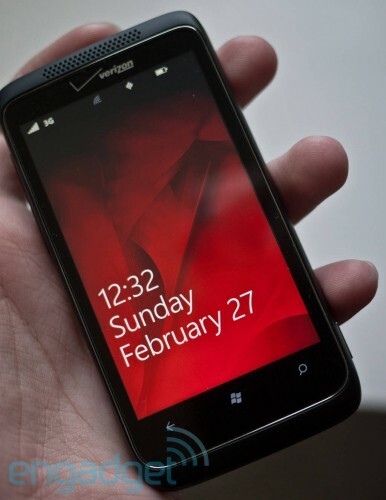 The first Verizon WP7 phone is pegged to be the HTC Trophy and to land later this month. I am hoping this kind of news means the network i am starting to hate will have the phone this month or April?? Why would they have troubleshooting pages if they don’t have a phone.. especially this early of June is the projected release.. Hmmm.